The internet is not the safest place when it comes to data and privacy protection. All over social networks and other kinds of platforms, we are leaving behind traces of our digital footprints, usually unaware of how quickly they can be misused. It is exactly the same when it comes to safe gambling, especially when you are gambling online. 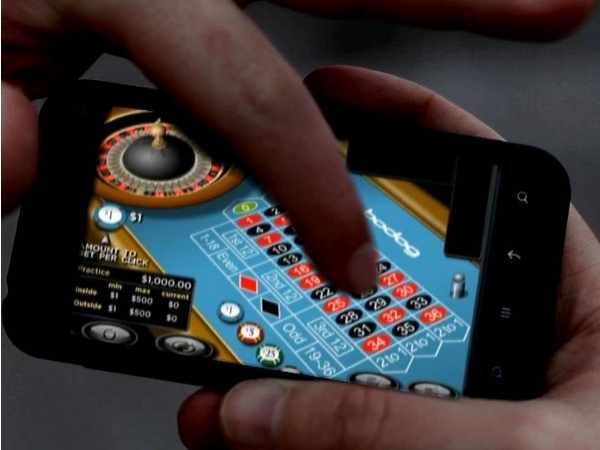 Taking these facts into consideration, it is more than helpful knowing how to make all of the necessary precautions when registering to casino sites. The world wide web is flooded with poker sites, and you should know how to study it in order to decide which ones are safe. In other words, the fundamental thing to do, before registering on a particular website, is to explore the market and see which one might be best fitted for you. Be careful not to get baited by bonuses that are too good to be true, for there is a high probability that you will get scammed by a rogue casino. What you are looking for are the comments left by the current or previous users. The FAQs should provide you with answers to questions like: Is the website licensed in the United States? Do they offer reliable customer support? Is my privacy guaranteed? Will my deposits and withdrawals end up where they should? There are a lot of forums and websites where you can read about reviews regarding those questions, so be sure to check the answers to them before finally opting for a certain online casino. Once you have decided which places are safe to play at according to the feedback and the license that the sites have, you want to think about the games that they offer. RNG (Random Number Generator) plays an important role when it comes to online gambling sites and games in general. Why is this RNG significant? Every time you pull a bar on a slot game or get a hand of blackjack, for example, RNG will decide the outcome of what your starting hand is going to be. It is almost impossible for the casino to fully control the result of this randomness and make it always be in their favor, but there are still some that are trying to rig their games, more or less. When it comes to the protection of your data, encryption is essential, for it will protect it from being misused by others. In other words, it will keep your private information safe from hackers and sometimes even casinos themselves. It is relatively easy to check if your chosen casino offers this kind of protection. If the URL says “https…” and has a lock icon next to it, then you can be sure that the site is encrypted. On the contrary, you should avoid giving out your private information to the websites whose URL says only “http…”. Always double check where you are going to deal with your financial transactions, especially when using credit cards, or otherwise you risk losing money. Stay safe. One of the essential parts of an online gambling website is the Terms and Conditions section. It is almost always located in the website’s footer and provides you with all the necessary information concerning law regulations, deposits, withdrawals, countries that are banned, etc. Be very careful with how you treat this information. Not following these conditions may result in unnecessary problems when it comes to money withdrawal, for example. 1) Changing the terms and conditions without notifying the players before or afterward. 2) Making false advertisements about their bonuses and extras. 3) Scamming them by changing the RTP values. 4) Not protecting the players’ information well enough. 5) Not letting the players withdraw their earnings. 6) Licenses that are not verified. To avoid rogue casinos, you should, as it was advised, do thorough research to find the safest online casino. Sports betting, for example, can become very addictive, as well as other types of online gambling. Most websites offer self-exclusion programs if you notice that things are getting out of hand. That includes losing too much money, becoming highly addictive to gambling, spending more and more time gambling, rather than with your family and friends, or all of the previously mentioned. Those things can happen, and to get help, you can opt for temporarily disabling your account, or even doing it permanently. Gambling can be fun, especially if you are doing it with your friends, or as a hobby. However, there is a vast difference between doing it from the comfort of your home, and doing it online. The best protection from getting your private information stolen is often equivalent to the amount of research you are going to do and how careful you are going to be with giving your personal information away. After all, being reckless while gambling can lead to a lot of problems. Follow these simple guidelines for staying safe, be responsible for yourself and others, do not let things get out of control, and enjoy the game.